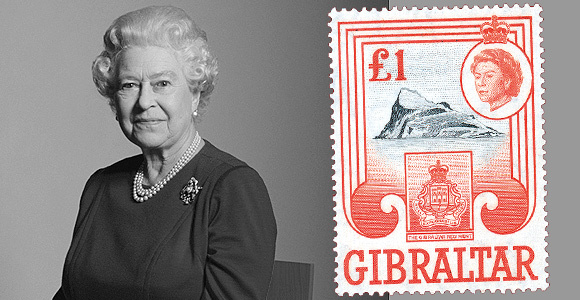 The first stamp of Gibraltar for the reign of Queen Elizabeth II was the 1/2d Coronation commemorative omnibus stamp issued on 2 June 1953. The post in Gibraltar is currently run by the Royal Gibraltar Post Office which in 2005 was granted the title of "Royal" by Her Majesty the Queen. Gibraltar is now the only commonwealth or British Territory outside the United Kingdom that bears this distinction, Canada and other nations having dropped the name some time ago. The Gibraltar Post Office is now known as the Royal Gibraltar Post Office and all stamps are issued by the Gibraltar Philatelic Bureau.